This post follows on from the detailed post Researching Mergers & Acquisitions, updated May 2014. When looking for quantitative data on mergers and acquisition, the various databases available each offer a different set of search filters. Most of these are very similar, such as annoucement date or country of target company, but the type or attributes of the deal vary the most. The attached table compares Thomson ONE.com, Capital IQ and Bloomberg Professional, and lists the deal type or attributes for each. The options are sorted into alphabetical order and spaced out accordingly to make the comparisons easier. Why do this? Perhaps you are looking to filter on a specific type of deal that can only be identified in one of these database tools. Finally, download M&A Compare Filters [Excel format] to find out in advance if the specific kind of deal that you are looking for can be filtered out in the database of your choice. A merger or acquisition is a combination of two companies where one corporation is completely absorbed by another corporation. The lesser company loses its identity and becomes part of the larger corporation, which retains its identity and assumes all the rights, privileges, and liabilities of the merged company. The research of mergers and acquisitions forms a key part of the MBA programme and a greater understanding of the issues involved is also of interest to the wider research community. 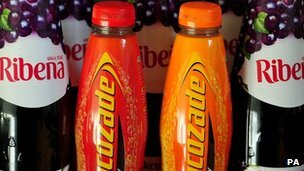 The proposed merger between pharmaceutical companies Pfizer and AstraZeneca is much reported in the business news from a variety of perspectives: jobs, innovation, research and development, takeover policy, and tax policy. Bloomberg Professional is great for researching mergers involving public (quoted) companies. The MA (Merger and Acquisition) function gives an overview of the M&A market and the ability to drill down to details of specific deals. In addition Bloomberg is excellent for researching companies and business news. You will see that Bloomberg uses colour coding to highlight whether a deal is proposed, pending, completed or withdrawn. You can use the actions option to refine your deal list to select a specific country or industry, or select an individual deal to access the details. 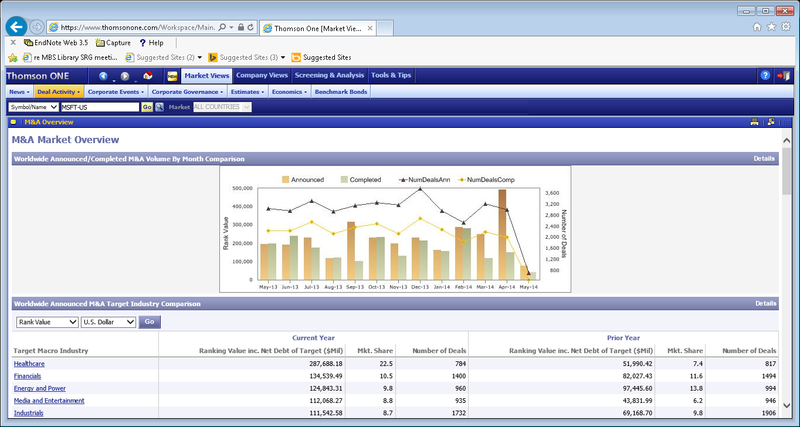 For qualitative reports on mergers and acquisitions, both proposed and completed, investigate the analyst reports from Thomson ONE.com or the older Thomson Research. 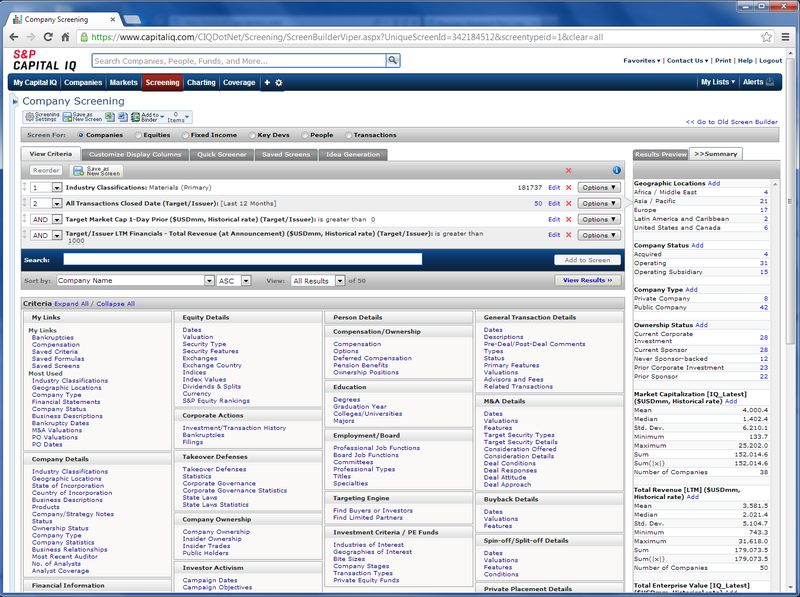 With leading contributors such as Merrill Lynch, Credit Suisse and Morgan Stanley, Thomson ONE.com provides analysis reports for over 60,000 companies. It affords authoritative insights into sales, forecasts and strategy evaluation. Market research databases, for example Keynote/Mintel/Passport GMID, provide information on business market trends that influence companies M&A strategies. These databases allow for the study of market size, segmentation, trends, forecasts and competitor and buying behaviour. 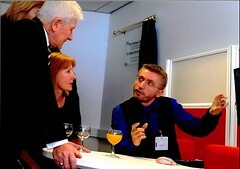 They focus on the market analysis of UK and International Industrial/Consumer markets. 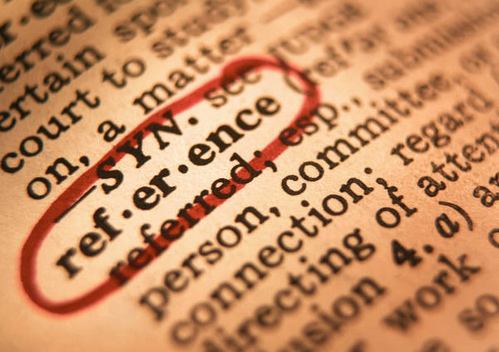 Business news is often an essential part of M&A research. If you are not using Bloomberg then Factiva (from Dow Jones) is a key source. Covering over 10,000 international, national and regional newspapers, news feeds and trade publications, Factiva provides access to the latest targeted company and sector developments. 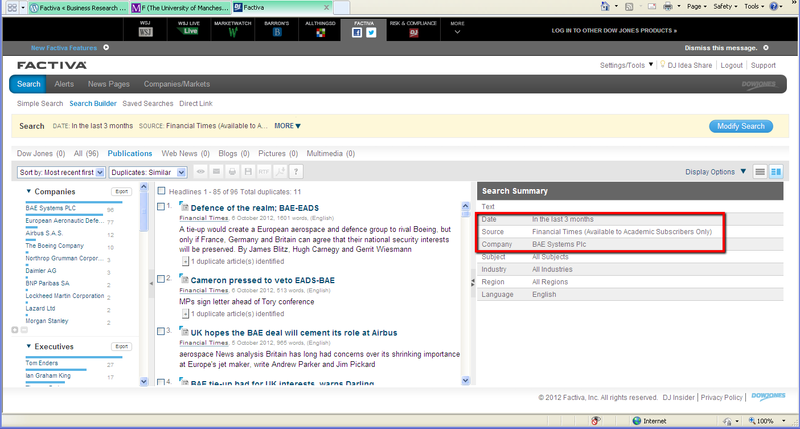 Searches can be made via company name, publication, industry, region or type of news. For quantitative data to study trends and features of historic mergers and acquisitions you will want to get your candidate deal list from Bloomberg Professional MA function search, or a search in Thomson ONE.com screening and analysis, or a search in SDC Platinum. SDC Platinum is an older product from Thomson Reuters but still widely used because of its reputation among commercial and academic customers. 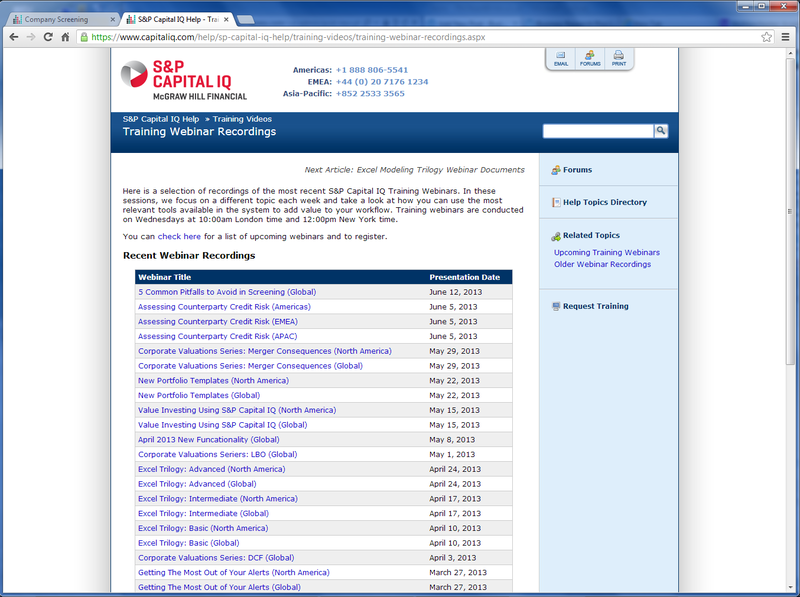 S&P Capital IQ provides regular training webinars which are free to join. Simply log into Capital IQ in the usual manner and go to the Help link at the top-right. 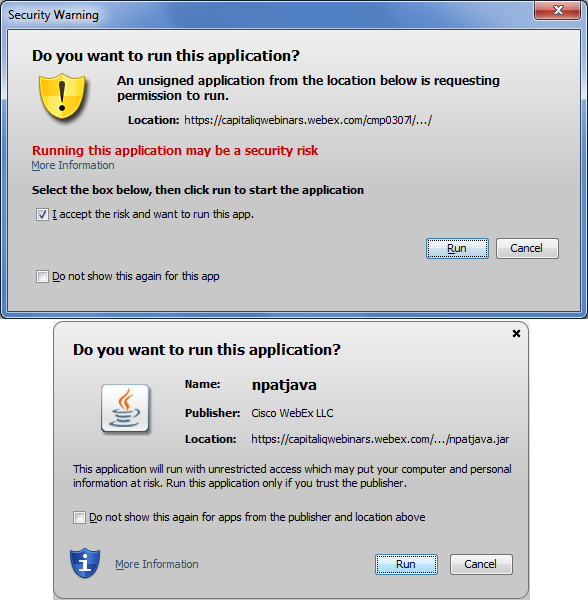 You will need to have Java installed, and to allow it to run, and to accept the warning messages. It should work on Windows and Mac OS in any modern web browser, but please leave a comment below if you find otherwise. Please enter your University email address and your name when accessing these resources. Remember we only have an extended trial subscription for Capital IQ here at The University of Manchester Library so only one person can use it at a time. The most recent webinar was titled “5 Common Pitfalls to Avoid in Screening” and we shall look at the first example from it. In this example we want to screen for a list of public materials companies that closed an M&A deal in the last 12 months with total revenue greater than US$1,000,000,000 one day prior to the closure of the deal. Begin by choosing the Screening tab in the menu bar and clicking on Companies. The first criteria must return no more than 1,000,000 results. From the first column, choose Company Details > Industry Classifications and click on Materials, then Add Criteria. 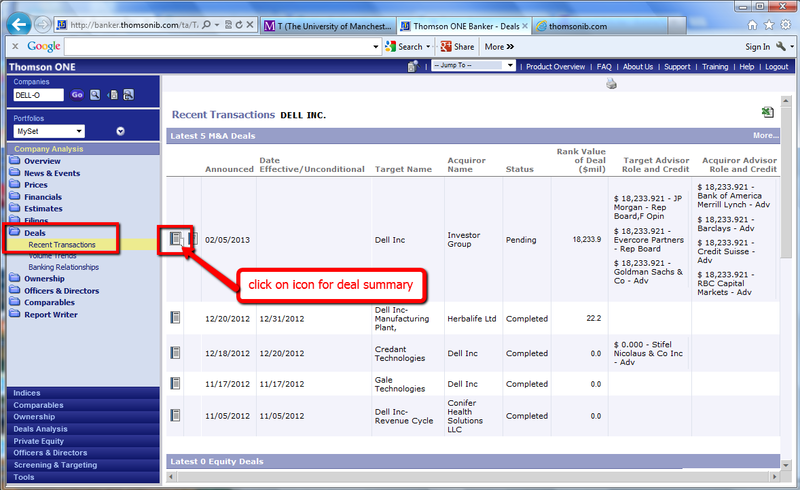 From the last column, choose M&A Details > Dates then in the list choose Closed Date, with the Time Frame: Last 12 Months. This metric refers to a transaction, not to a company, but we can still use it for screening. Click Add Criteria. We now want to identify the company as a public company. It might be tempting to go for Company Details > Company Type: Public Company, but that would apply to the status today, not on the date of the transaction. To get the status on the date of the transaction, you need a metric relating to the Transaction (about the target company).So again from the last column, choose M&A Details > Valuations and in the list choose Pre-Deal Share Performance with the Data Point: Target Market Cap 1-Day Prior and the Value: Greater Than 0. This means the company was publicly listed. Ensure that Target/Issuer is displayed in the box below, and choose Type: AND from the radio buttons at the bottom. Click Add Criteria.Why Type: AND instead of Type: New (the default)? Because this criteria is part of a Transaction detail, and we are in Company Screening, we need to combine all the Transactions criteria together, using logical AND. It is a bit confusing, as all the criteria are combined with AND rather than OR, but it is essential when linking these types of screenings. Finally, to limit to target companies with Total Revenue greater than $1 billion at the time of the deal and not at the present day, choose from the last column M&A Details > Valuations then from the list Target/Issuer LTM Financials (at Announcement) with the Data Point: Total Revenue, Value: Greater Than 1000 (the units are millions of US Dollars). 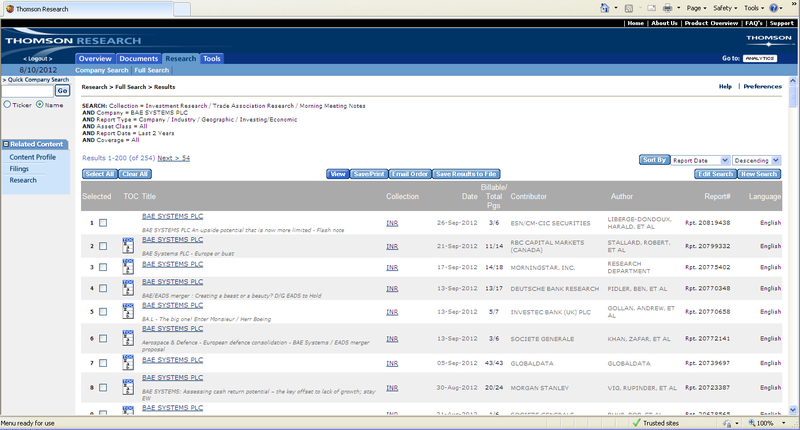 Again, ensure Target/Issuer is displayed below this and choose Type: AND to link it to the Transaction criteria. Click Add Criteria, then View Results. The most important thing to take away from this is to consider using Pre-Deal Share Performance with the Data Point: Target Market Cap 1-Day Prior and the Value: Greater Than 0 to identify a company as public from a transaction, using the Type: AND operator after choosing a deal date.